WATERS, the new project from former Port O’Brien frontman Van Pierszalowski, has announced a new run of US tour dates in August and September. The dates will begin next month with a two-show stint supporting Vetiver: August 10th at the Troubadour in Los Angeles, CA, and August 11th at Sophia’s Thai Kitchen in Davis, CA. WATERS will then meet up with Mister Heavenly on August 18th in Portland, OR, at Branx and support the band through September 2nd in San Diego, CA, at Bar Pink. 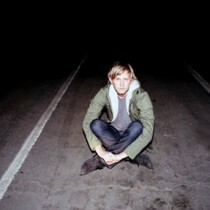 The shows all come in advance of WATERS’ debut album, Out In The Light, which will be released September 20th, 2011 on TBD Records. A full itinerary is below. Last month following a European tour supporting Wye Oak, WATERS played their first US shows at Brooklyn’s Northside Festival in addition to a headlining show at the Mercury Lounge. The young band’s live show made an impression, with Brooklyn Vegan writing of their set supporting Deervana at Brooklyn Bowl: “If the recordings sound as good as the songs did at Brooklyn Bowl, then Out In The Light is definitely an album to look out for.” WATERS also premiered the first MP3 off Out In The Light, “For The One,” in late May on Stereogum and the song is available as a free download here. An album teaser video set to the track can also be seen here. In the spring of last year, creative and personal differences led to the collapse of Port O’Brien and Pierszalowski moved to Oslo, Norway, seeking solace and space. After some time, he began writing again and to fuel his inspiration further, spent most of the year traveling: to Alaska, where he’d spent summers as a teenager fishing salmon with his father; to California, where he’d grown up in a seaside town off Highway 1; and eventually to New York, where in Brooklyn he endured relentless blizzards. The new songs Pierszalowski wrote were intensively thought-out and pieced together over the year, a new contrast to the frequently loose, punchy anthems of his previous band. Wanting a bigger sound for his new project (which by now he’d dubbed WATERS) than he could create on his own, he headed back to Oslo – where his new life had first begun to take shape – and put together a band. They practiced every day for two months before heading to Dallas, TX, to record with producer John Congleton (St. Vincent, Explosions In The Sky, The Walkmen) and finished Out In The Light over a mere 10 day recording session. Out In The Light has a louder, fuller, and more aggressive and raw sound that’s unlike anything Pierszalowski has written before. Mixing fuzzy, pealing guitars and crashing drums with dynamic, indelible melodies, the album ranges from barreling, grunge-sheathed pop (“For The One”, “Back To You”), to easy, haunting tracks that soar (“O Holy Break Of Day”, “Out In The Light”); from rolling, catchy anthems (“Abridge My Love”, “Take Me Out To The Coast”), to a quieter and ruminative, aching beauty (“Ones You Had Before”, “Mickey Mantle”). Throughout, Pierszalowski’s sanded, reedy tenor sings about starting over, jealousy, and yearning for an easy, steady life, the intimacy and emotional intensity underlined by Congleton’s stark production.